A wrongful death is a tragedy, no matter how you look at the situation. If someone who is close to you was killed due to the negligence of another, understand that you do not have to try to navigate this difficult time alone. Beyond mourning the loss of a person, there is also a likely build up of medical bills and other financial issues as a result of the untimely death. Under Nevada law, surviving loved ones of a victim of a wrongful death may be entitled to monetary compensation through a Nevada wrongful death lawsuit. Some types of accidents that are common causes of wrongful death include auto accidents, medical malpractice, nursing home abuse or neglect, and on-the-job hazards. If you or someone you know is considering filing a wrongful death claim in Nevada, it is important to consider the following before taking any action. Those who were dependent on the deceased at the time of his or her death, including step children or unrelated children who were dependents more than six months out of the year. File the wrongful death in civil court: A wrongful death claim is not aimed at punishing the at-fault party for a criminal offense. Rather, the lawsuit allows surviving victims to receive financial compensation for losses suffered due to a loved one’s untimely passing. File the claim within the time limits: Under Nevada state law, a wrongful death claim must be filed within two years of the person’s death. Failure to file within this time period will bar recovery, except in very limited circumstances. Keep important documents preserved: a wrongful death claim allows recovery of monetary compensation for loss of present and future financial support, inheritance, parental guidance, companionship, medical costs, and funeral expenses. For this reason, be sure to keep all documentation so you can present all relevant support necessary for the wrongful death claim. Punitive damages, while possible, are limited: The goal of punitive damages - which are separate and apart from monetary compensation - is to punish the egregious behavior of the defendant. If the at-fault party acted recklessly or maliciously, punitive damages may be awarded, but under Nevada law they are capped at a certain amount depending on the case. If you or someone you know has been affected by a wrongful death, do not try to do this alone. Surviving loved ones of a wrongful death victim deserve to be compensated adequately and fairly for their loss. 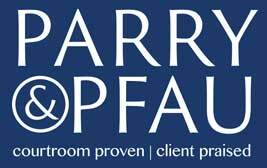 Contact the skilled Nevada personal injury attorneys at Parry & Pfau today for help in navigating this complex area of the law.